Ossimori installation by Studiopepe. Photo by Vincent Vallejo. 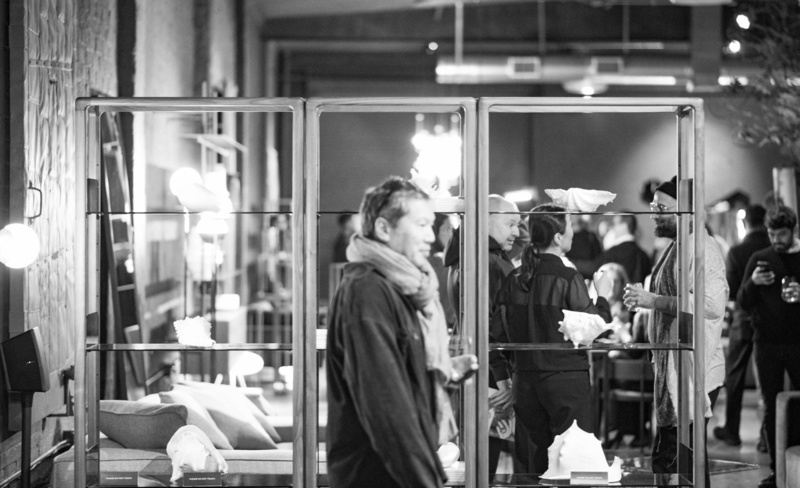 On January 31, Graye and Cultured celebrated the opening of the design mecca’s new location in Hollywood with an evening of drinks, music and, of course, design. Transitioning from a private, appointment-only space to an expansive warehouse-style showroom in the area’s burgeoning design neighborhood, Graye has much cause for celebration. 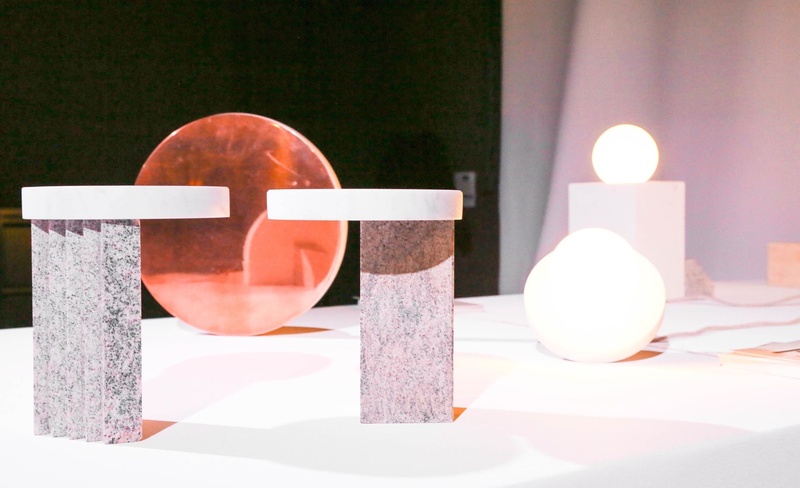 Taking center stage at the space were the newly unveiled Ossimori, a collection of one-of-a-kind mirrors, lamps and sculptures created by Studiopepe, exclusive pieces by Atelier de Troupe, as well as a selection of furniture by Living Divani, MDF Italia, Porro, Glas Italia, rugs by Delinear and art pieces by LA-based Ali Silverstein. Among those in attendance were Giampiero Tagliaferri (Creative Director for Oliver Peoples), patron of the arts Homeira Goldstein, DJ and actress Mia Moretti, artist Tasya van Ree, designer Marc Ange, Town & Country’s Erica Zohar, art collector Beth Redmond, Creative Director and owner of Atelier De Troupe Gabriel Abraham and James Goldstein. Sips were provided by Peroni, Mionetto and Our/Los Angeles Vodka. Ali Silverstein Art curated by Posner Fine Art. Mia Moretti. Photo by Virisa Yong. Maria Cicione. Photo by Vincent Vallejo. Tasya Van Ree. Photo by Virisa Yong. Homeira Goldstein. Photo by Vincent Vallejo. Giampiero Tagliaferri. Photo by Vincent Vallejo. Hanane El Moutii and Marc Ange. Photo by Vincent Vallejo. Gabriel Abraham and JI Shin. Photo by Vincent Vallejo. 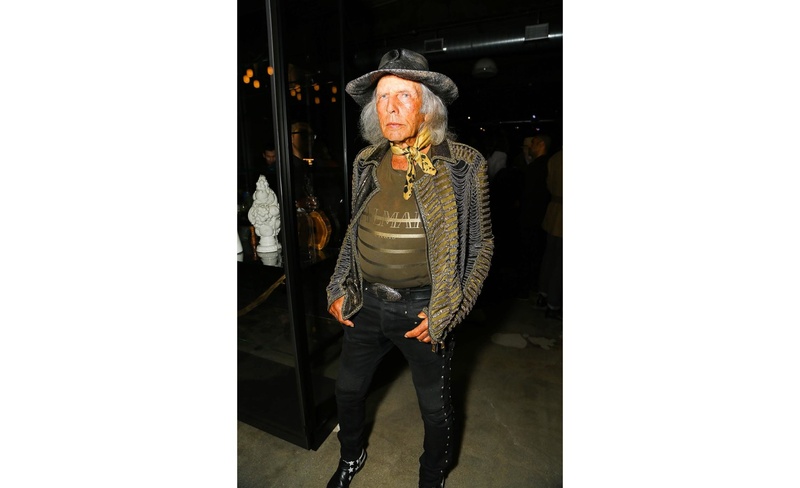 James Goldstein. Photo by Vincent Vallejo.